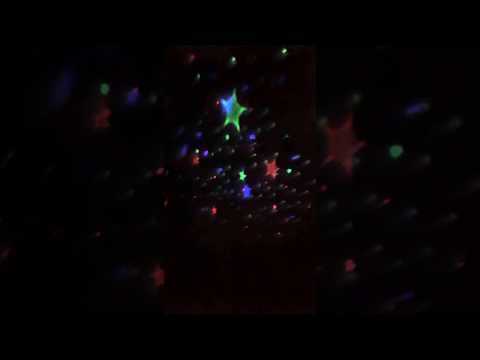 Fill the room with awesome stars and moons with the Star Projector. It has been adapted to accept a standard 1/8 (3.5mm) switch (sold separately). Manually press the B button to power it on/off. Press the selector button on the projector or click your switch to scroll through different color combinations. Has the ability to turn on a brighter white light (button A) and also to turn the rotation on and off (button C). Both of these settings are done manually. Also has a USB port with provided cable to allow power via USB instead of with batteries, and a dome that can cover the projector globe to protect it. Measures approximately 5" x 5" x 6". Uses 4 AAA batteries, not included, or a USB cable, included. Best for older kids or adults.